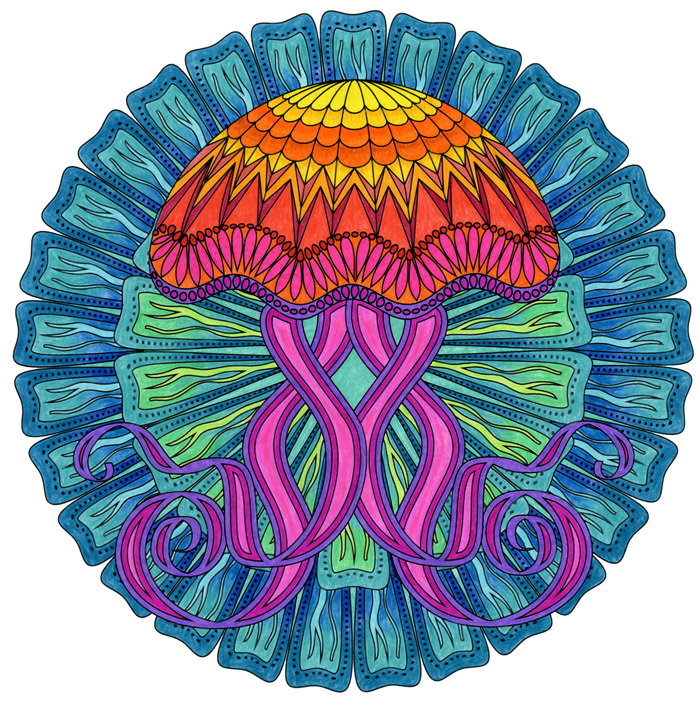 Coloring Ocean Mandalas is Here – Preview the Book! 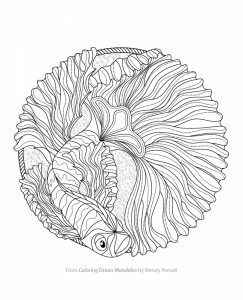 Click on this image to view and print the full size printable coloring page from Coloring Ocean Mandalas! This whole book started when I sent over some ideas to Ulysses Press right after Coloring Flower Mandalas rocked our world by getting featured on the Huffington Post. They wanted me to come up with a few new coloring book ideas, because they were giving me an additional two books to publish in 2015. 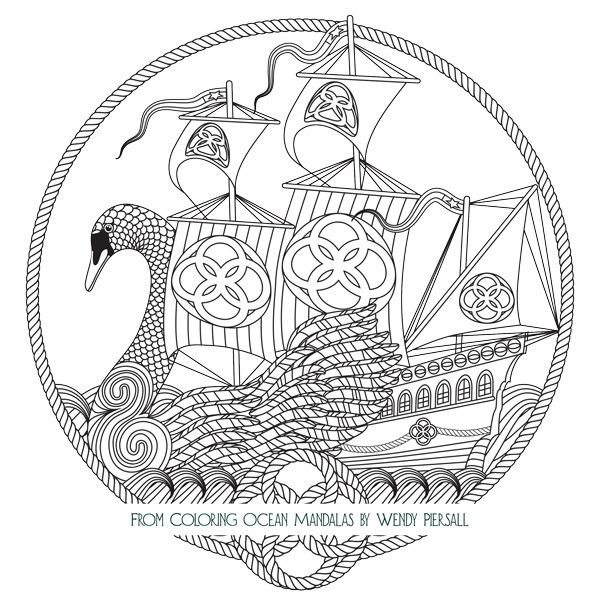 I wanted to do a book of Dream Mandalas, and drew up a swan boat for them as part of that pitch. 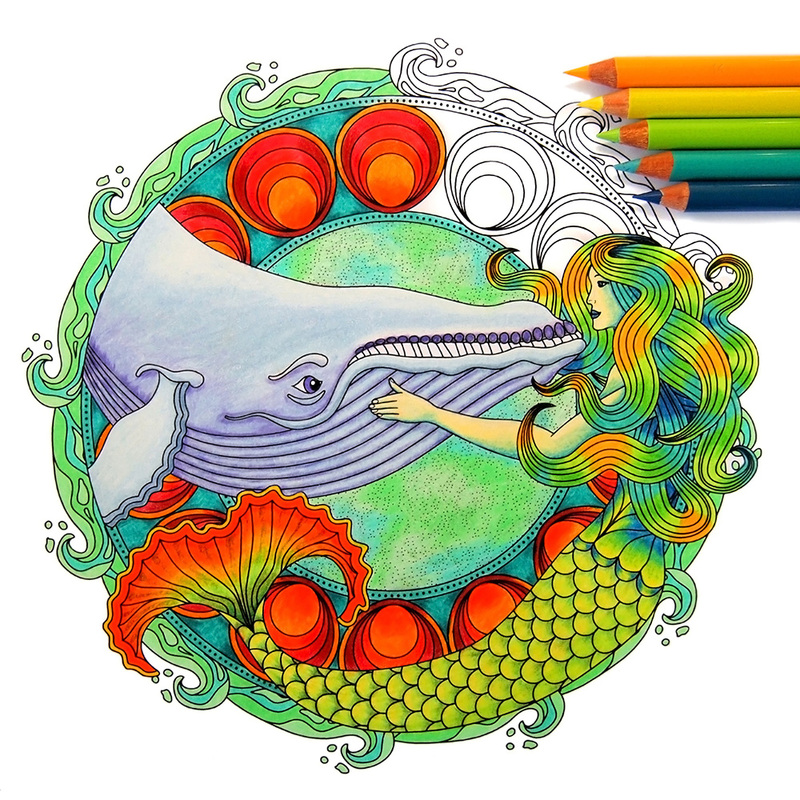 Somehow that swan boat ended up being it’s own book instead, and Coloring Ocean Mandalas was started. 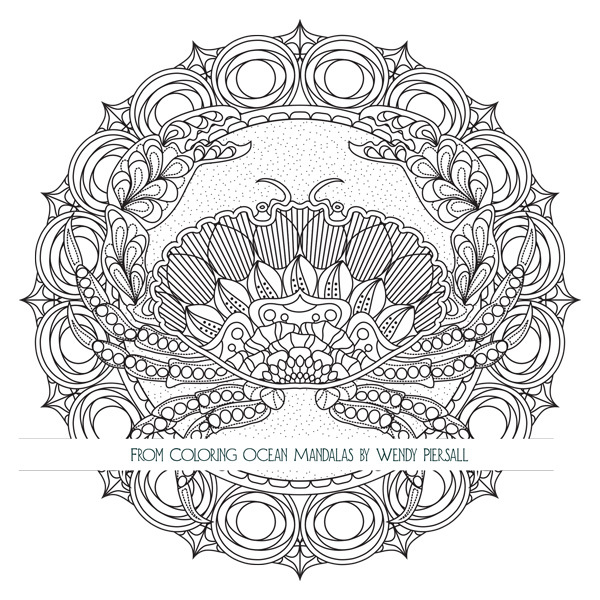 Irritatingly, Johanna Basford announced her Lost Ocean book three days after I sent that pitch to Ulysses Press. All I can say is that I guess great minds must think alike! Interested in seeing more? The listing on Amazon has a Look Inside preview, and I also have copies available right now in my Etsy shop! I LOVE IT!! Cant wait to buy it!! I can’t wait! I’m heading over to your Etsy store now 🙂 I love your work Wendy. I appreciate your art and enjoy coloring them is a break for the soul. 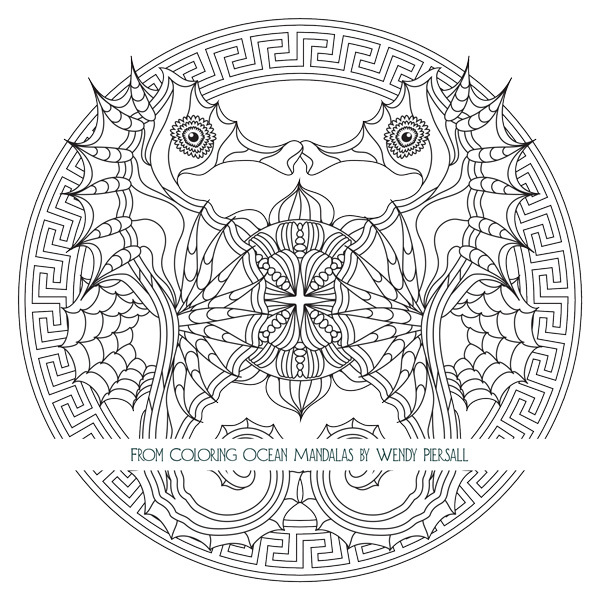 Just found where I had bookmarked you several months ago, when I first got into the adult coloring books. Love your style, and love to read your comments. I don’t do Instagram or Pinterest, but am on Facebook. Love the preview of your new book. Thanks for all your insight into the different types of pencils, pens, etc.